Hypnosis in the hands of a mature, responsible and trained professional can help clients to improve their lives in countless ways. When I say “mature” I take the stand that hypnosis should only be done by those who have a mature character and have reached the age of 18 years old or more. Teenagers under the age of 18 who would like to learn hypnosis as a hobby or topic of study should only do so under the direct supervision of a trained adult hypnotist, and should not provide hypnosis services to others. By “responsible” I mean those who are willing to take responsibility for their actions. Furthermore such individuals who hold their services out to the public should be fully trained and certified by a leading organization. I recommend the National Guild of Hypnotists. 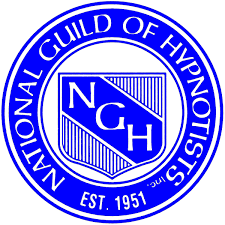 The responsible hypnosis professional would then operate his or her practice in accordance with the NGH Code of Ethics and Standards of Practice. One last thing about responsibility… When you learn and use hypnotic techniques with friends, family and especially clients, you are responsible for what happens. You are responsible for your client’s safety and wellbeing. You must always put their interests first. By “trained” I mean that the hypnosis professional has had the best training possible initially and then continues to receive continuing education on the topics of hypnosis, hypnotherapy and ethics. One of the best schools in the field is our Banyan Hypnosis Center for Training & Services, Inc. The training is so well respected that over the years other hypnosis instructors have been certified to teach the Banyan Hypnosis Center courses and are teaching them in countries around the world. When you hold out your services professionally, remember that you are not only representing yourself and your practice of hypnotism, but also in the mind’s eye of the public you represent all hypnosis professionals. Please learn and practice hypnotism in a way that best represents the highest levels of professionalism.